Load cells are an essential portion of many machines, used for measuring weight, load, and tension. This technology has been refined to be as precise as possible. Today's load cells calculate non-intrusive, highly accurate load measurement data. And when they are calibrated well, their accuracy measures around 0.03 to 1%. 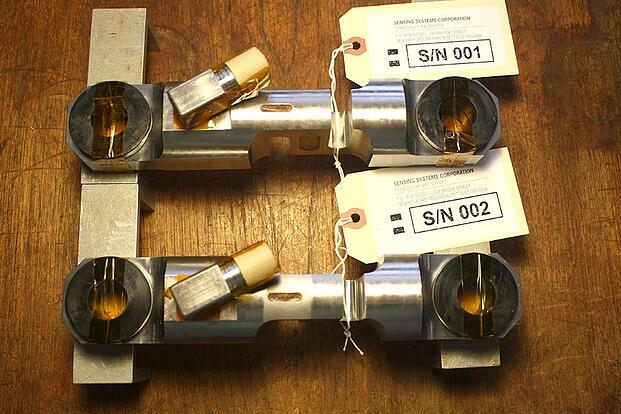 To take this accuracy a step further, many manufacturers are choosing to use custom load cells. These measurement tools are fit to the product's specific needs, making them as precise as possible. The following are just some of the common load cell applications. Automotive: Since cars operate using a sensitive system of weight and torque measurements, accurate information is essential. Load cells can be used in the suspension, engine parts, valve calibration, and other features. While these parts may take extra calibration to keep the car running well, they provide a strong base for operation. Aerospace: Everything from rocket engines from the seats can use custom load cells. Aerospace products are required to measure weight and pressure on a near constant basis. These critical operations require the highest standard of accuracy, so custom calls are often the best option. Medical: Medical research equipment often use load cells for product and procedural testing. This can include something as advanced as robotic limbs to patient tactile testing. When researchers obtain accurate data based on cell calculations, patients can then receive higher quality treatment and information. Manufacturing: Automated manufacturing needs to be fine tuned to accurately assemble products. Load cells are also necessary in product testing, especially when testing for product durability. These tools are also used when weighing products in batches for packaging. Agriculture: This load cell application includes the measurement and distribution of animal feed, seeds, and water. Many agricultural product providers measure out large quantities of these products automatically. Load cells ensure that every client receives the proper amount. While load cells in general are useful for accurate measurement, customized products can take this to the next level. By choosing custom products, industry professionals can adapt their cells to their specific needs. This will make for higher quality products that are able to withstand the pressures of their daily use.